Got a free eBook code? Click HERE for instructions on how to download. This book started out strong and very interesting. It's an alternate Europe that mixes supernatural and steampunk, which is part of what drew me because I love it when the two are mixed. 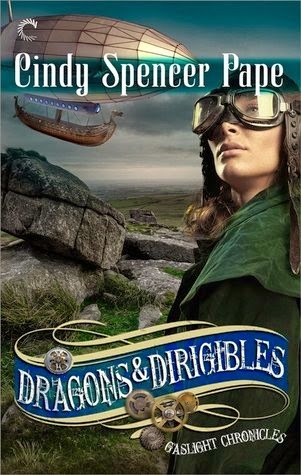 Don't be deceived by the title though, dragons aren't gallivanting through England. I don't want to give away too much there, but let's just say they are more of a metaphor than a physical thing, so this novella in the series isn't as heavy on the fantasy as it sounds. I found myself cheering for Melody and warming up to Victor despite some of his old-fashioned (then in fashion) ways and beliefs. I knew this was a novella getting into it and that didn't bother me. But, I found that I liked the characters and the story so much so that I wanted more of it, and not just more of the series, but more of this novel. With a few things fleshed out fully this would have been outstanding. As it was, it was a good, quick read that felt a bit rushed in places. 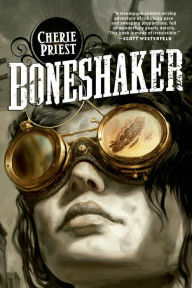 I would recommend it for fans of romantic steampunk. I give it 3.5 for great characters and an interesting world. It was a fun, albeit short, read. Comments are like good friends, the more the merrier! 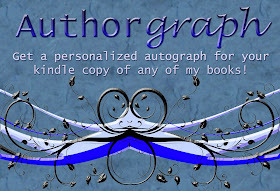 For the latest news on my books, click here! Born Of Fire, my channeler short is FREE on Amazon and B&N! Dragon Seer, my Dragon Empire short is FREE on B&N and here is the Kindle version. What Kind of Agent do You Want? All rights reserved by McCorkle Creations. Travel theme. Powered by Blogger.